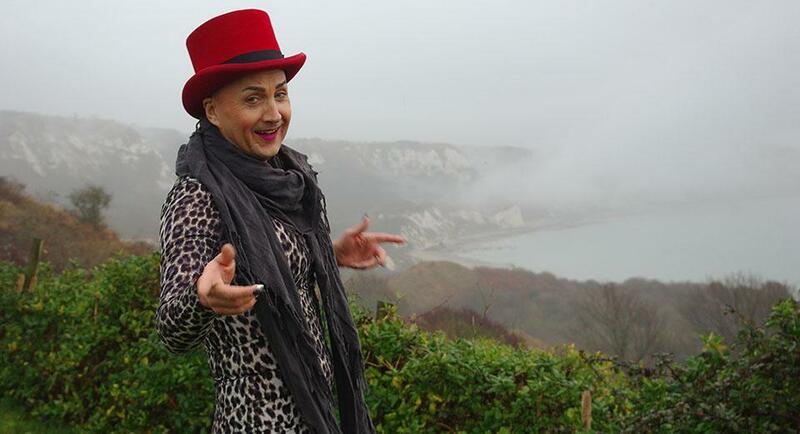 Do you know what the most search-after’ on this blog was last year? Dairy-free advent calendars!! So for all of you Advent Calendar searchers out there, we thought we had better do an update. 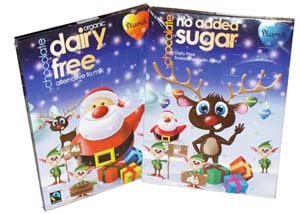 This update is also to be found on the freefrom Christmas goodies page of FreeFrom FoodsMatter – so do take a look at what else is on offer this year in the way of Christmas cakes, puddings and pies…..
Plamil make a range of freefrom Christmas advent calendars, in no added sugar, and dairy free. Plamil also make dairy free chocolate in many flavours, no added sugar chocolate and chocolate spread, a soya milk and carob products. The site is also nut free. Available from independent shops across the UK, and online. D & D Chocolates make a range of advent calendar options including felt Father Christmases, snowmen and Nordic Advent garland which can be reused each year and filled with their chocolate or carob shapes. Available from their new website, for 2012 they are also offering carob tree decorations, carob advent calendar fillers, chocolate novelty shapes and delicious mint-filled mini snowmen. Available online. 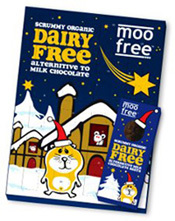 Moo Free’s calendar is filled with 130g of their quality, organic, dairy-free milk chocolate alternative and features five of the Moo Free animals enjoying a dairy-free chocolate Christmas together. They have lots of on-line and high street retailers stocking the calendar so check on their site to find the most convenient for you. The calendar costs around £4.75. Billy Goat Stuff use a re-usable cloth calendar to fill with their tasty goat’s milk chocolates – although it is a bit hard to see what it looks like from this picture. The calendars costs £12.99 and they say that the design will vary. Order direct from their site. 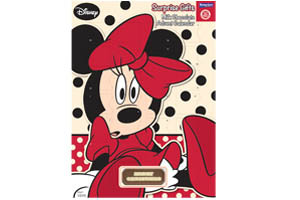 All the Kinnerton confectionery advent calendars are made with their ‘nut-safe’ promise but none are dairy free.